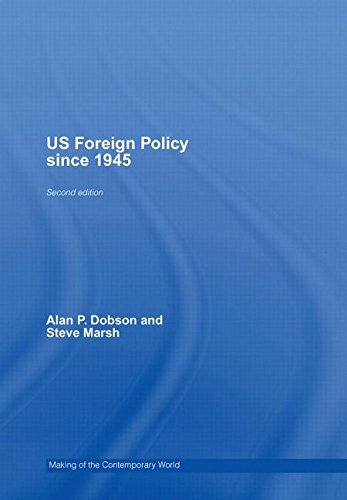 Description (from Amazon) "US Foreign Policy since 1945 is an essential introduction to postwar US foreign policy. It combines chronologic and thematic chapters to provide an historical account of US policy and to explore key questions about its design, control and effects. - a chronology and a new conclusion that draws together key themes and looks to the future. Covering topics from American foreign policy-making, US power and democratic control, through to Cold War debates, economic warfare, WMDs and the war on terrorism, US Foreign Policy since 1945 is the ideal introduction to the topic for students of politics and international relations." My review: 3.5/5 "I read few dozens of books on the subjects covered by this short book- but I think that it could be useful both as a ""reader"" and as an introduction on the subject, as well as to ""refresh""
Nothing really new- but it is worth keeping as a ""quick read"" reference book (e.g. many pages look as if a potential ebook version where to be provided with direct links to Wikipedia or other websites providing more details, or access to a website focusing on specific areas of interest)"